As we’ve seen up to this point in Galatians, there was a real danger of the Gentile Christians falling for the false teaching that they had to become Jewish (by circumcision) before they could be full members of God’s family. 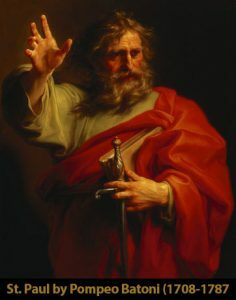 Paul has pointed out that the promise to Abraham was that he would be “the father of many Gentiles.” Paul has taught how the law was a kind of quarantine or guardian babysitter from Moses to Jesus, which didn’t change God’s promise to Abraham at all. There is an overlapping story of Gentile slavery to the “elementary principles of the world” with the Jewish slavery to the law. They had come from slavery to freedom in Jesus Christ. Who would want to go back? He goes on, “You observe days and months and seasons and years!” Not only were they considering (or perhaps some had already submitted to) circumcision, but the law’s defunct festivals and holidays were being resurrected as well. It would be a mistake, however, to take this as an indictment against Christians celebrating or marking time by biblical and theological events. Paul says that the first day of the week is special (1 Cor. 16:2). Obviously, the early Christians met on what they called “the Lord’s Day” (Rev. 1:10). You even see that Easter becomes an annual festival, and many in the church (Paul included) date what they are doing by reference to Passover and Pentecost (Acts 20:6, 16; 1 Cor. 16:8). Not all observances of days and times are banned. But, Paul says in Romans 14:5-6 that doing so–or not doing so–is a personal matter of discipleship. Let us remember that the elementary principles and other gods continually whisper sweet invitations to us so that we can fit better socially, be richer, or be happier if we’ll come back. This is a lie, and falling for it enslaves you. It is only when we follow the God revealed in Jesus and the Spirit that we find true freedom, true humanness, and true fellowship with other people. God has acted, and we have tasted the effect of that action. All His promises are “Yes!” in Jesus. And that’s the gospel. Come hear it preached and enacted in the Supper this Sunday.